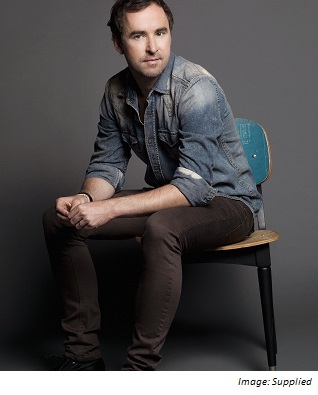 Damien Leith co-hosts the breakfast program on Power FM Hunter Valley with Glenn Stolzenhein. He is an Irish-Australian singer-songwriter who first captured the attention of Australians in 2006 as the winner of Australian Idol. On the show, he was one of the few contestants to have never been in the bottom two or three throughout the series. Since Damien’s time on Idol, he has sold many platinum albums and won several awards, including ARIAs, MTV awards, and Helpmann Awards. He has also hosted various shows on TV, including Saving Kids, New Idea Test Kitchen, and Great Easter Feasts. In 2011, Damien was a contestant and finalist on Dancing with the Stars. His Twitter handle is @DamienLeith. Before getting your role at Power FM, you had a few fill-in gigs. What’s it like to now have your own role as a co-host? There’s such a huge difference between fill-in spots on radio and actually maintaining a daily show – there’s a lot of behind-the-scenes work that goes into creating a show. What drew you to the radio industry? As a musical performer, I’ve always been really drawn to telling stories on stage which, over the years, has really helped me when I’ve had to do interviews, or set up as a temporary co-host on TV or radio. I realised early on that storytelling especially suited radio, and that I really enjoyed it. I love the fact that radio is live; you’re not always sure how things will turn out. What role do press releases play for a radio host? Creating a brand new show every day requires loads of content, and press releases are often a great source of material. Artists have ample opportunities to influence society. How have you seen this influence put to good use? There are so many great examples out there of artists influencing society – art itself across all genres is an expression of influence. Certainly, artists with a large social presence can impact a massive audience with their opinions and ideas, and I think that’s a wonderful thing, especially if it’s been used for the greater good. Likewise, radio and TV hosts are heard and watched by many so their voices can become very influential. How did your time on Australian Idol prepare you for a life in the spotlight? Idol was quite frantic, and forced me to learn fast on the job- one minute I had a day job and the next I was on national television. Almost instantly I was introduced to a multitude of interviews with TV and radio shows, tonnes of photo shoots and publicity engagements – it definitely gave me a crash course of what was needed for a job in the entertainment industry. Outside of your role as an entertainer, you also write children’s literature. How do you find ideas for your stories? I have three children, so the stories have really come from bedtime stories that I have told them. Over the years I recorded the stories on my phone as I make them up for the kids, and I discovered I had about 100 on the phone. Writing has been a huge passion of mine since I was a kid; I find it’s a fantastic way of unwinding.